If you are following PiTCC on Facebook then you might have seen this gorgeous Filet Mignon plate on our page last Valentine's Day. Rather than fighting the crowd to get an expensive meal at an overrated restaurant, I decided to just prepare a lovely dinner for my family using the Prime Angus Filet Mignon that was sent to me by Certified Steak and Seafood Company as part of their ongoing promotion. I received four 8-oz. vacuum sealed Filet Mignon beautifully packaged in this box, which arrived in a big cooler box and was kept well frozen with the help of some dry ice. 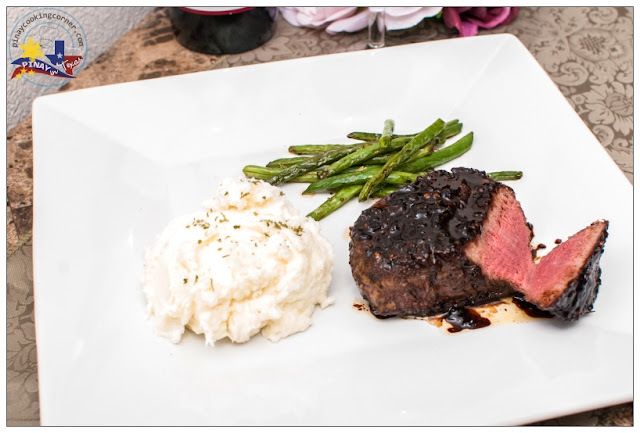 With a delicate cut of beef like this, adding too much flavors will definitely take away its natural taste, so I decided to stick to our favorite Pepper Crusted Filet Mignon recipe which is totally simple and quick to prepare. All you need is just a little salt, freshly ground pepper and olive oil! 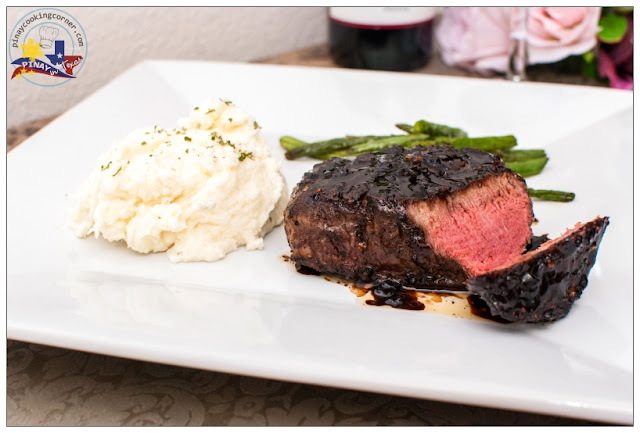 If you want to make it a little fancy, top it with Balsamic Red Wine Sauce and add mashed potatoes or other vegetables like green beans, asparagus, or zucchini on the side! The result: a simple yet elegant and impressively delicious dinner! The awesome quality of the Prime Angus Filet Mignon from Certified Steak and Seafood Company made this meal even more satisfying! I must admit that I didn't expect it to be that good! But after trying it, I must say that I was very satisfied! It was indeed tender and so flavorful as described on their website! 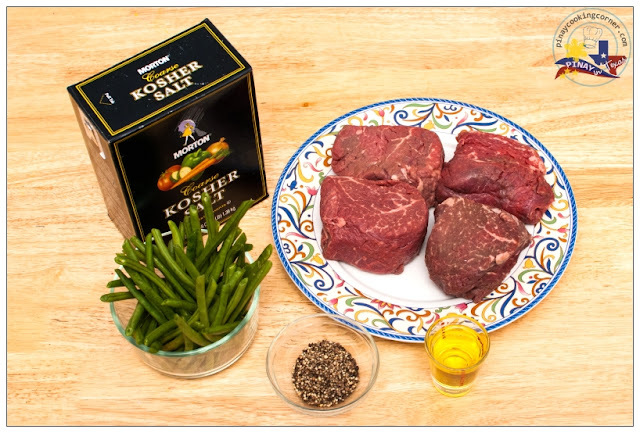 I would highly recommend it to anyone who is interested in enjoying a high quality filet mignon at home. Will I buy it with my own money? Surely, I would! Maybe not for regular weeknight dinner, but definitely for special occasions and family gatherings. $99.95 for four 8-oz Prime Angus Filet Mignon is a bit expensive but what do you expect? It's filet mignon! But I tell yah, with it's superb quality and the fact that you will have the freedom to make it the way you want it in the comfort of your own home, it's all worth it! 1. If serving with mashed potatoes, recipe can be found here. Prepare and set aside until steaks are ready. Keep warm. 2. Preheat the oven to 400°F. Put the coarsely ground pepper on a plate. 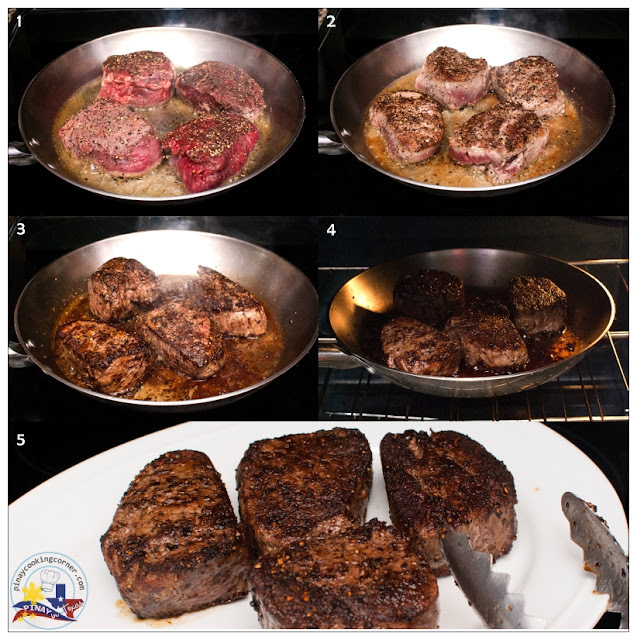 Sprinkle the steaks with salt then set the steaks atop the pepper and press, coating both sides and flattening the steaks slightly. 3. Heat a large ovenproof skillet on medium-high. Add the olive oil then add the steaks. Cook for about 6 minutes or until both sides and perimeters turn golden brown. 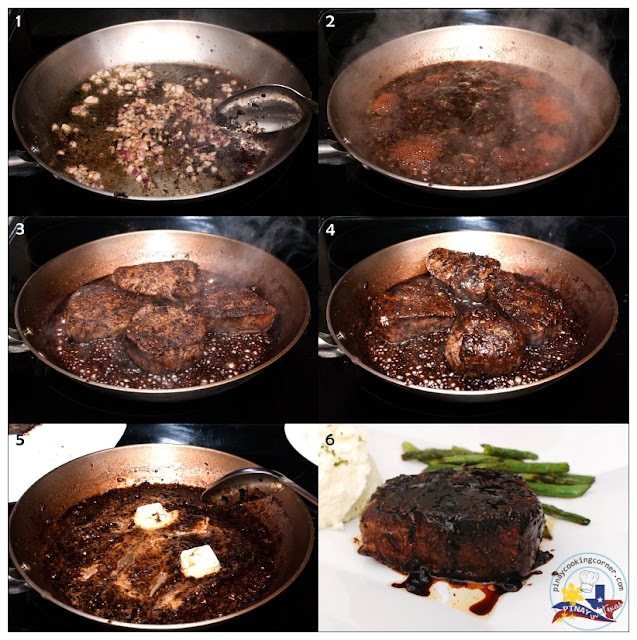 Transfer the pan to the oven and cook for until desired doneness is attained, about 3 minutes for medium-rare doneness. Transfer the steaks to a plate to rest for 5 minutes. 4. Add the green beans to the same sauté pan and saute just until cooked but still crisp, about 5 minutes. Divide the green beans into 4 plates. 5. To make the sauce, heat the olive oil in the same pan over medium-high heat. Add the onion and cook until soft and translucent but not brown, about 2 minutes. Season with salt and pepper. Add the wine, vinegar, honey, and thyme to the pan and simmer until reduced by half. Return the steaks to the pan and baste with the sauce. Put the steaks on the plates with green beans. Stir the butter into the sauce to blend. Pour sauce over the steak and green beans. 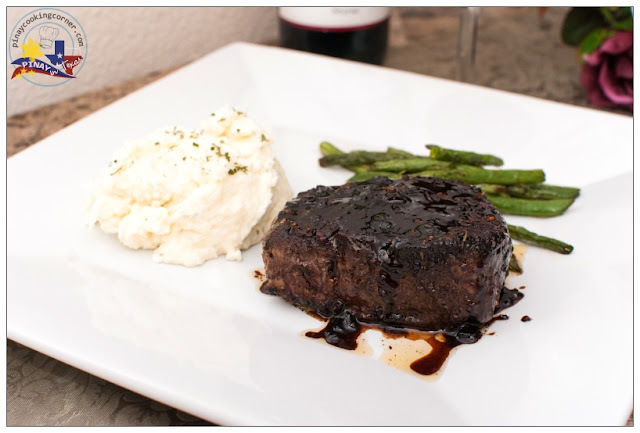 Want to try the goodness of Certified Steak and Seafood Company's Prime Angus Filet Mignon yourself? 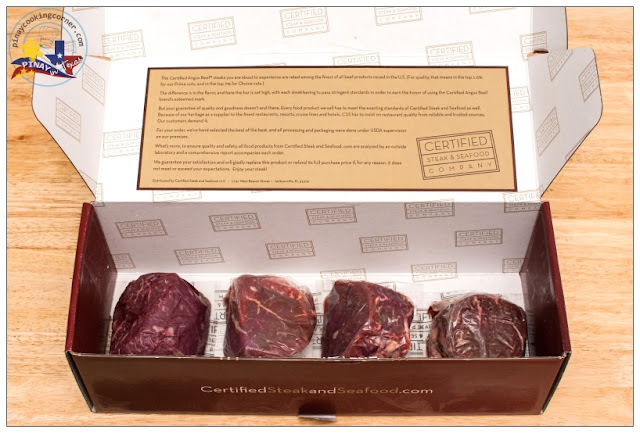 Visit the Certified Steak & Seafood website and use coupon FBR125D to get $25 off your order. It's definitely worth it, if you'd ask me. * This sponsorship is brought to you by Certified Steak & Seafood Company who PiTCC has partnered with for this promotion. Your steaks are awesome Tina! Juicy and tender just like I want them! You're an excellent cook. 2 thumbs up for you. Your steaks looked perfectly cooked and would be wonderful for a special occasion. I just don't think that I would pay $50.00 for filet. Here in New England you would pay way less for prime filet mignon. Tina, the steak looks perfect...love the pepper and the sauce...yum! I'm drooling over your steaks! How lucky you've got to try these steaks. They look gorgeous. I agree with you for not fighting the crowd at the restaurants on special occasions. I rather dine at home and cook something luxurious. With steaks this gorgeous, who needs to go out at all! WOW! 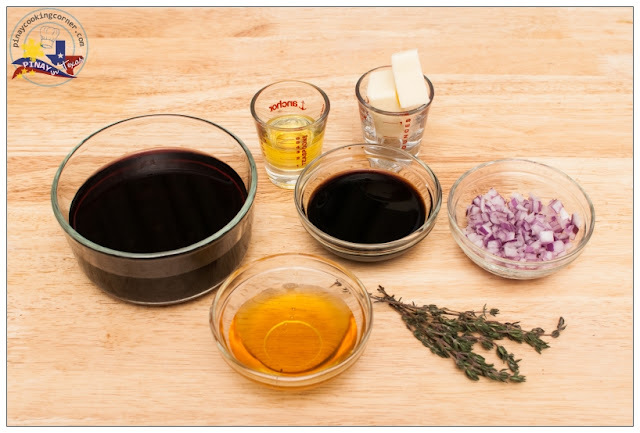 This is really an amazing and attractive post about nice recipe with Red Wine. I appreciate your posted wonderful photos. Thanks for sharing such an interesting post.